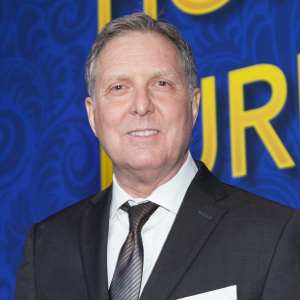 MISSISSAUGA, Ontario – Laine Reynolds will step down as chairman of the Canadian Home Furnishings Alliance (CHFA) after the association’s annual general meeting which is expected to be held in late September. With 12 years in the position, he is the longest serving industry leader in the organisation’s 127-year history. In fact, it was under his leadership that the CHFA emerged from what was then-called the Ontario Furniture Manufacturers Association in late 2007 as part of a bid to revitalise and re-energise the association. While he will resign from the voluntary position of chairman, he will continue to sit on the CHFA’s board of directors as past chairman. He will also remain a member of the CHFA events committee, which organises the annual golf class and the CHFA awards program. He also sits on the advisory committee of the Canadian Furniture Show as a representative of the outside showrooms and is vice president of sales and marketing for upholstery specialist Superstyle Furniture. He first joined the events committee in 1989 and served as its chairman for three years from 2002 to 2005. He was first elected to the board of directors in 2003 and served as president of the OFMA beginning in 2005 until the organisation’s structure was changed along with the name in 2007 becoming chairman. Reynolds was also one of the driving forces behind amalgamation with Furniture West in 2013, which also saw the closure of Canadian Council of Furniture Manufacturers. This reduced the number of industry organisations from three regional and one national to two regional with responsibility for national issues being share with the Quebec Furniture Manufacturers Association. “Throughout his tenure as chairman, he significantly improved the financial viability of the organisation,” CHFA president Murray Vaughan said in a note to association members. “As chairman, Laine took the initiative to reduce staff, negotiate a rent-free office lease and retire long-term equipment lease debt obligations. As well, he initiated the establishment of a substantial contingency fund to cover extraordinary expenditures with board approved guidelines. Vaughan also credited Reynolds for the successful lobbying of the Ontario Workplace Safety & Insurance Board and Ministry of Labour to ensure the continuity of the Safety Group Program. He was part of an industry group who met with Global Affairs Canada and Finance Canada to discuss the potential negative effects of promoting a free trade agreement between Canada and China. Fellow CHFA board members also praised Reynolds for his contributions to the association, including John Power, board member and current chairman of the events committee. Power is also general manager of sales and strategic development for Mega Group. A new chairman will be elected at a board of directors’ to be held after the association’s annual general meeting which will be held on September 21 at 9am in the Aquarius meeting room of the International Centre.